HELP US PROTECT PA RACING. As you read this, leaders of the Pennsylvania House of Representatives and Senate are negotiating how to pay for the state budget in the coming fiscal year. Two proposals being discussed could result in a substantial decrease of funding for purses and breeder incentives from $200 million last year to $130 million in the coming year. If these proposals are approved, it would kill our industry. Bad news? Yes. BUT WITH YOUR HELP, WE CAN STOP IT. One issue being seriously discussed is a transfer of $50 million or more from the Race Horse Development Fund to pay for other kinds state spending. The second option, in order to generate new sources of revenue, is establishing 10 new smaller casinos (also referred to as Category 4 casinos) throughout the state, casinos that would compete with the slot machines at existing casinos and result in less contributions from the casino industry to the Race Horse Development Fund. Either one of these proposals on its own will cause great harm to the industry--but combined, the impacts will be devastating. We need you to contact both your State Representative and State Senator today as a budget “deal” could be finalized at any time. Explain to them how this will impact you and other constituents in their district: farms, horse breeders, race horse owners and small businesses who rely on the horse racing industry for work. Explain that reduced funding for the Race Horse Development Fund will result in job losses for the 20,000 Pennsylvanians employed in the industry and jeopardize the 100,000 acres of open space that the state’s horse racing and breeding industry is directly responsible for preserving. Ask them to tell their respective House and Senate leadership that they will not support a budget that kills the racing and breeding industry by cutting money from the Race Horse Development Fund. Urge them to tell House and Senate leaders that the Race Horse Development Fund should receive the same percentage from slot machines at new “Category 4” casinos as they do from existing casinos. Anything less will result in reductions in purses and breeders incentives. Click here to find contact information for the Senator and Representative who represents your area and call them in Harrisburg. We need to let our legisaltors know that these proposals will destroy the horse racing and breeding industry in our state! 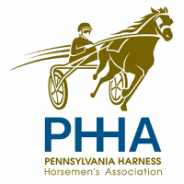 When you email or phone your legislator, please forward us their reply at paequine@gmail.com or let us know what they have to say so we know how best to focus our efforts.